A free spectacles provision camp was held in the School of Excellence, Madurankuliya Karikkattai recently. The School of Excellence is an International English medium school which provides free education for orphans. The students and mothers of the area were the beneficiaries at the camp and they were provided with high quality spectacles. These spectacles were provided free of charge, under the sponsorship of the Brain Hold and Vision organization, which is a co-organization of Sri Lanka Muslim Hands organization. 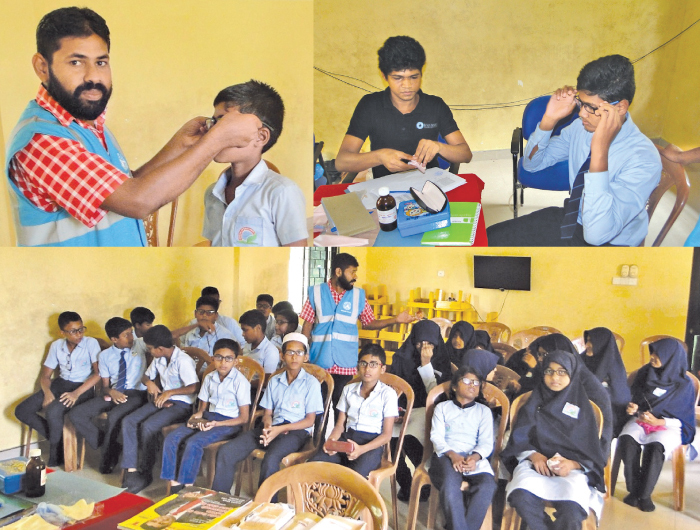 This free spectacles provision camp was held at the School of Excellence with the participation of the Muslim Hands Director A M Mihlar and its project manager Ilmudeen.